A regular temperature sensor provides you with the temperature of the air surrounding the sensor. The thermal camera sensors provide you with the temperature of the objects & equipment it sees. 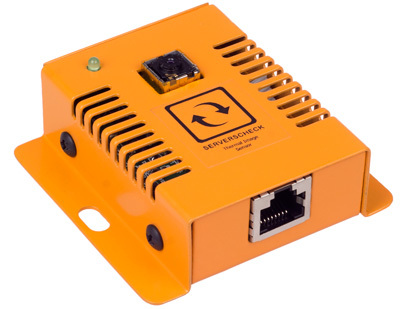 The world's first SNMP & Modbus thermal camera sensor that tells you the temperature of what it actually sees. From 768 up to 9600 temperature measurement points in one image, analysed every 2 seconds. Pricing is currently only available for the ENV-THIMG-M. The ENV-THIMG-S and ENV-THIMG-L are coming in 2019. A traditional temperature sensor tells you what it feels, a thermal imaging sensor tells you what it sees. One image can contain 768 temperature measurement points (Small version), 4800 (Medium) or 9600 points for the Large version. 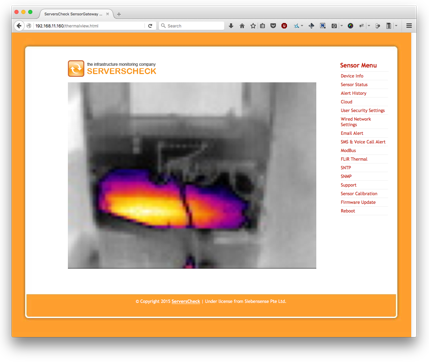 The thermal image is refreshed every 2 seconds. 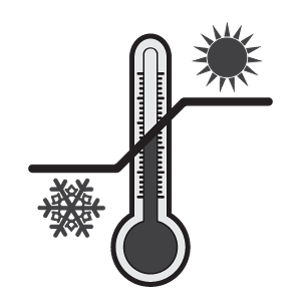 Minimum and maximum temperature data is available to industrial and IT automation platforms via Modbus TCP or SNMP. Made in the USA, FLIR is the leader in thermal imaging. With FLIR inside, we chose for the best technology at the best price for our Medium and Large thermal camera models. The Medium and Large models are export restricted and not available in all markets. 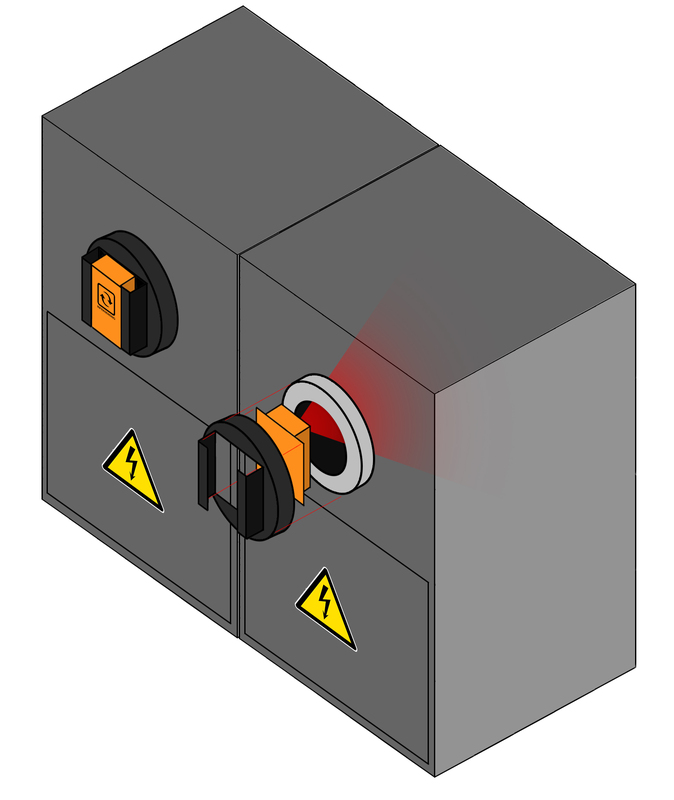 into one small compact sensor. With its 32x24, 80x60 or 160x120 resolution, the thermal camera senses for temperature in up to 9600 points compared to 1 point for a traditional temperature sensor. 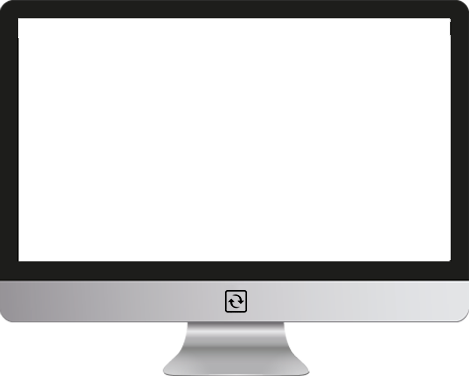 Object's thermal runaways and abnormalities no longer have to go undetected. With these sensors you monitor their temperature non-stop 24x7. Currently IR windows are monitored through periodic manual inspections using thermal guns. 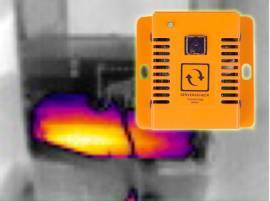 By using our infrared thermal camera sensors, you can not only automate the monitoring process but also perform it non-stop 24x7. The IR window mount kit enables you to plug a thermal camera sensor on common 2",3" or 4" thermal windows. Not only do you monitor constantly your equipment, by no longer needing manual inspections you reduce your total cost of ownership. checks every 2 seconds the 768, 4800 or 9600 sensor points to see if all measurements are within the low and high range. The high and low temperature readings are being accessed as separate, discrete values through SNMP, Modbus and XML. 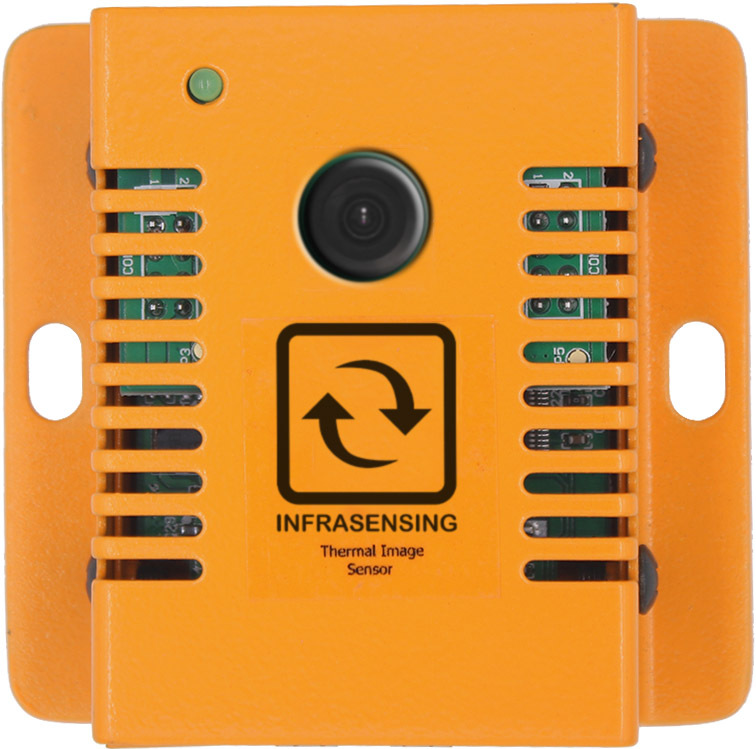 InfraSensing markets one of the first thermal imaging sensors that can be accessed by Network Management Systems via SNMP or Building Management Systems via Modbus. It returns 2 values: the highest and the lowest temperature recorded, every 2 seconds. 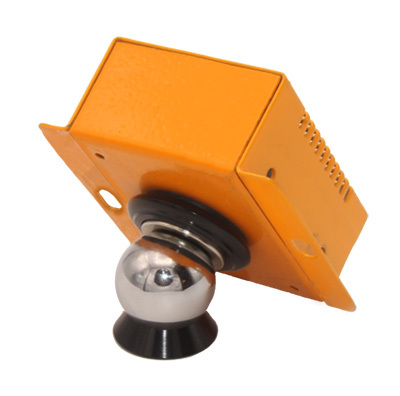 The thermal camera sensor comes with a small and compact magnetic 360° ball mount with an adhesive base. Made of a powerful neodymium magnet and silicon center, it ensures a safe and secure grip of the sensor. 360-Degree ball mount allows you to adjust the camera to any angles you want. It's compact form factor allows you to mount your camera in tight spaces. The sensor connects to a base unit (SensorGateway) using a standard network cable. The network cable	tranmits data and power between the base unit and the sensor. The maximum distance between a sensor and the base unit is 100m/330ft using a CAT6/7 cable (subject to cable quality and interference). 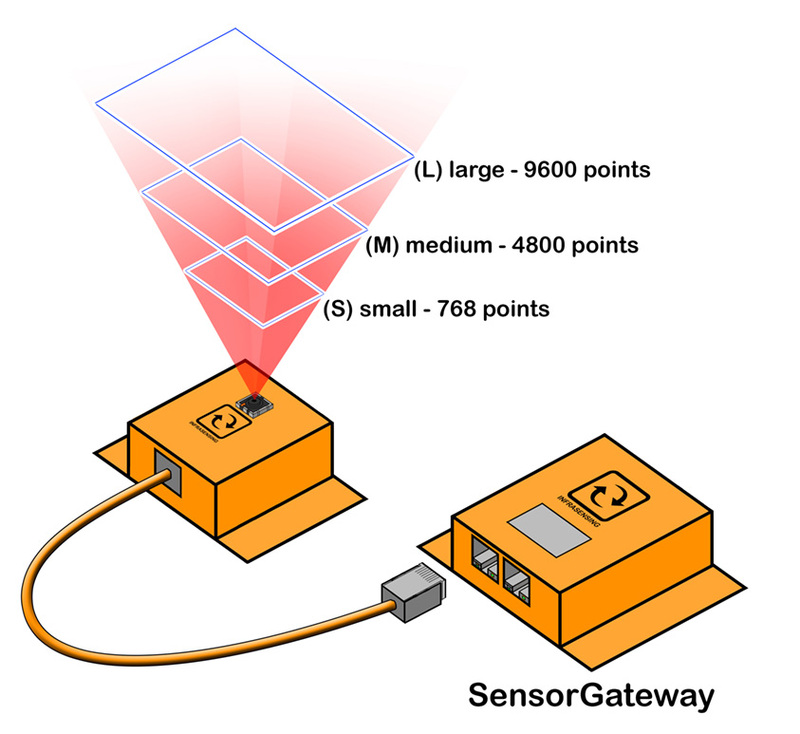 Two thermal image sensors per SensorGateway are supported.